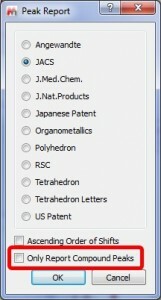 New Options for the Data Analysis tool. 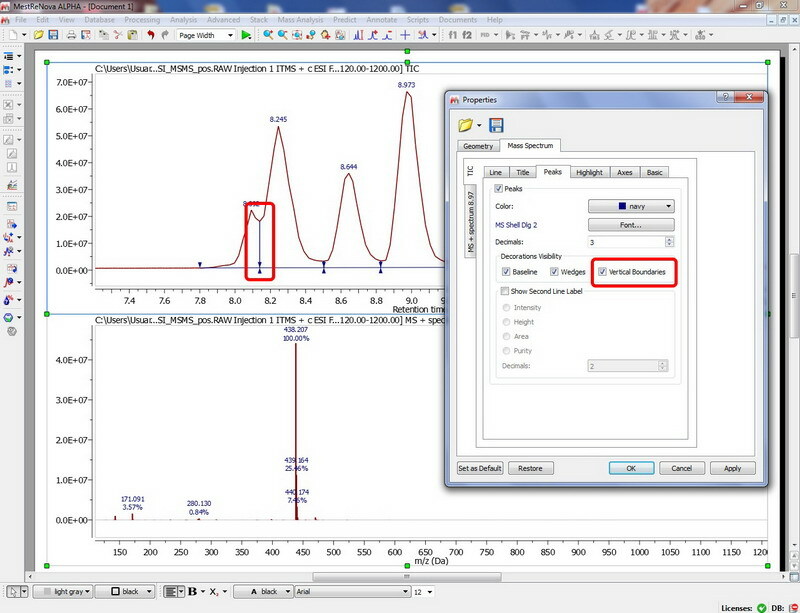 The Data Analysis feature has been highly enhanced. 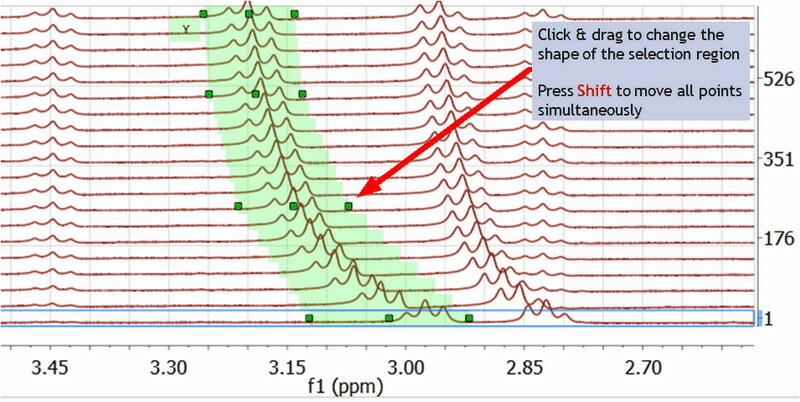 The user can change the shape of the selection feature in order to take into account the peaks movements (which is a complement to the new automatic alignment algorithm for arrayed datasets (very useful for kinetics or reaction monitoring experiments by NMR). 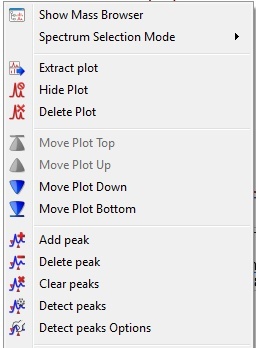 Capability to show decimated stacked plots. 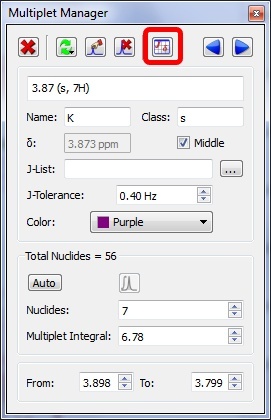 This option is very useful when the number of stacked spectra is very large, slowing down the plotting and not showing relevant information. 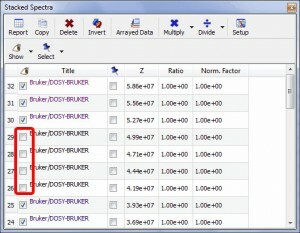 Multiple spectral selection is allowed. 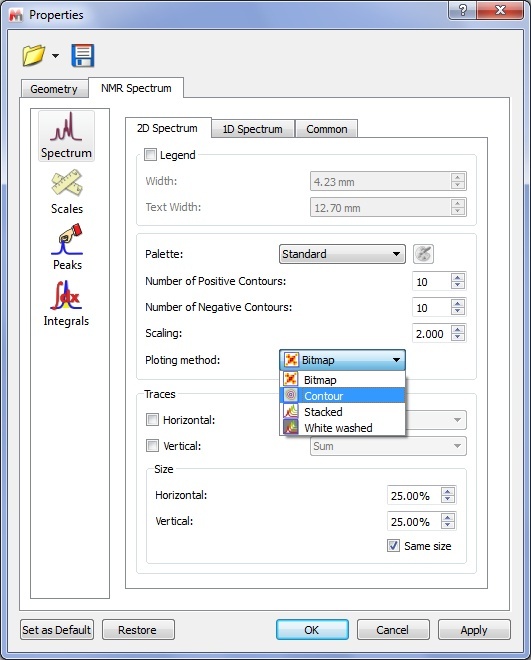 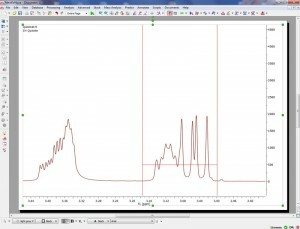 Mnova includes a powerful and easy to use multiple spectral selection mode, which allows the user to optimize the processing of groups of spectra by selecting a bunch of spectra and applying any processing. 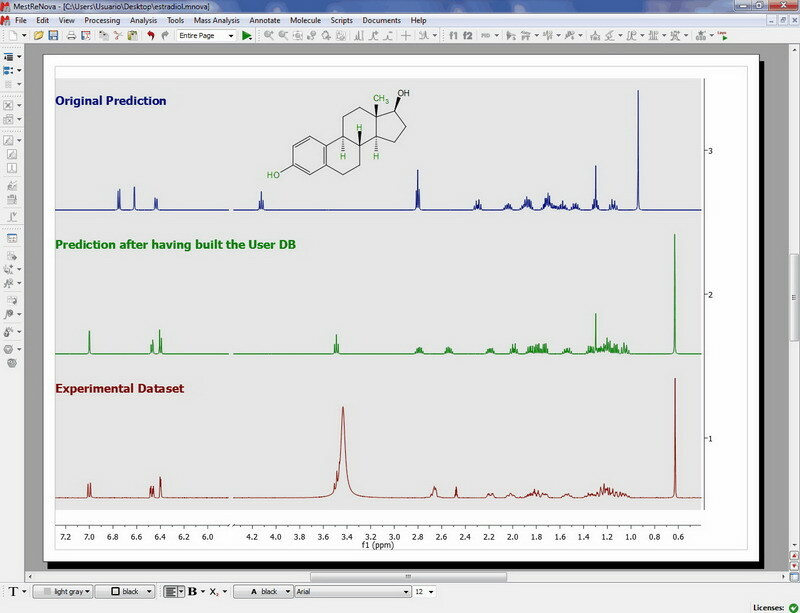 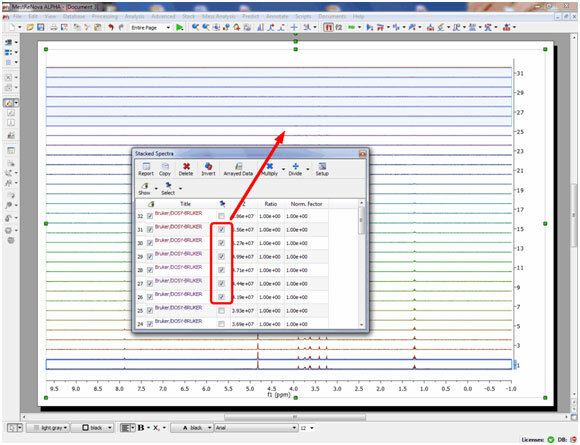 Multiple spectra selection can be done either graphically from the stack or directly from a table. 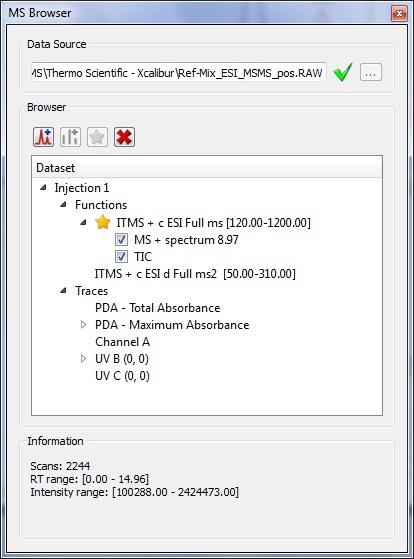 Enhancements in the Multiplet Analysis feature. 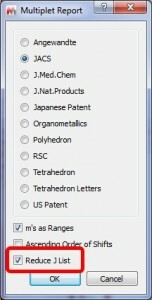 It is possible to show all degenerated coupling constants by just unchecking the option ‘Reduce J List’ to show all the J values. 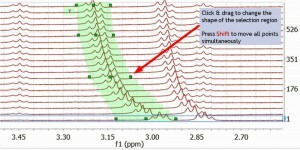 Capability to report some multiplets as ranges and other as shifts. 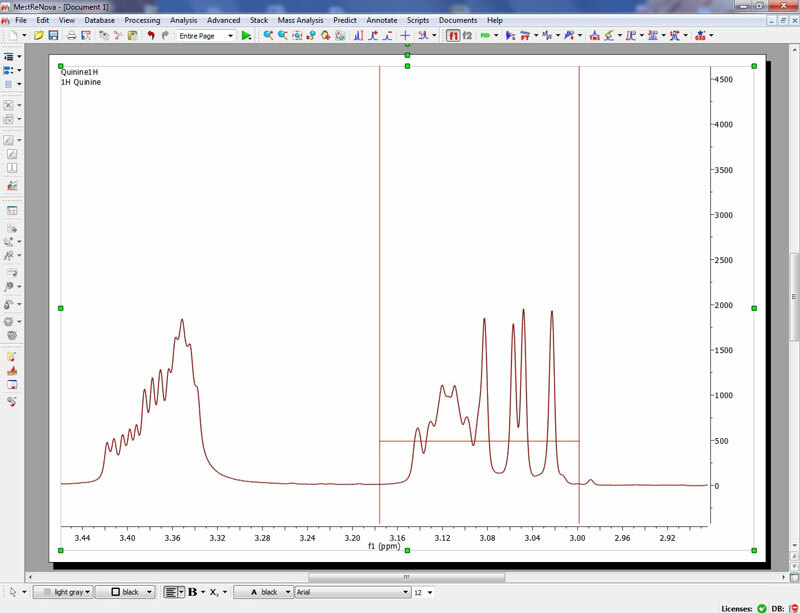 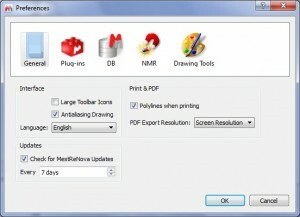 Ability to modify the intensity of the traces without needing the scroll wheel. 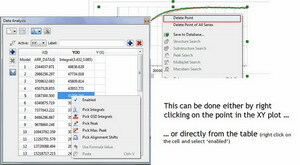 You will not never need a mouse with scroll wheel to increase the intensity of your “D traces, just use the shortcut ‘Ctrl+Shift+Up/Down’ for the horizontal trace and ‘Ctrl+Shift+Left/Right’ for the vertical one. 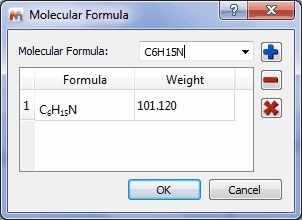 It is possible to select predefined integral regions with 4 decimals (in the previous versions you could only use 3 decimals). 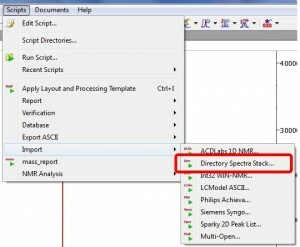 2D ploting method is now a spectral property so the user and can selected the default method (bitmap, contour, stacked or white washed). 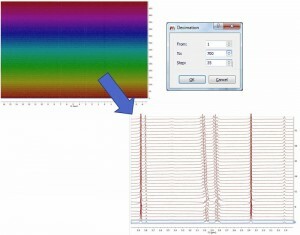 Capability to create User Databases to train the neural network algorithm, improving the prediction results of similar structures. 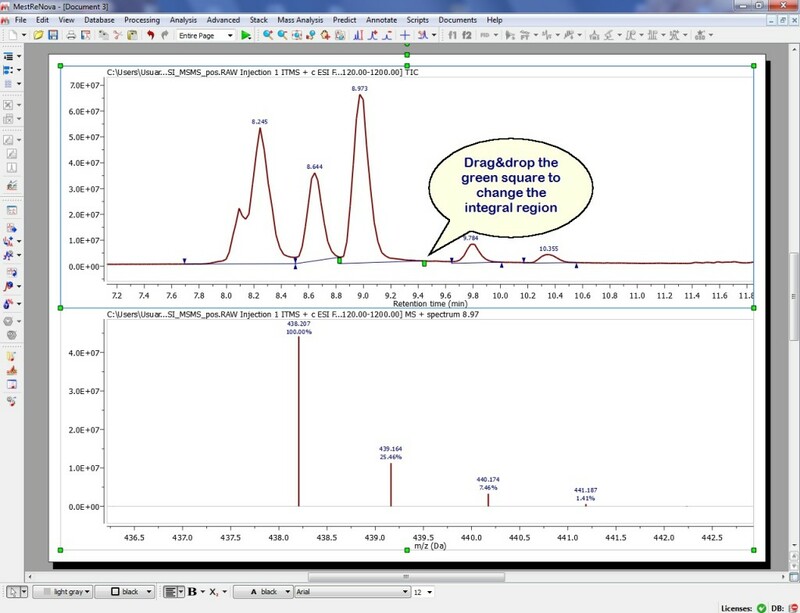 This feature will allow the user to build databases with experimental assigned spectra which can be used to enhance the prediction results of similar structures. 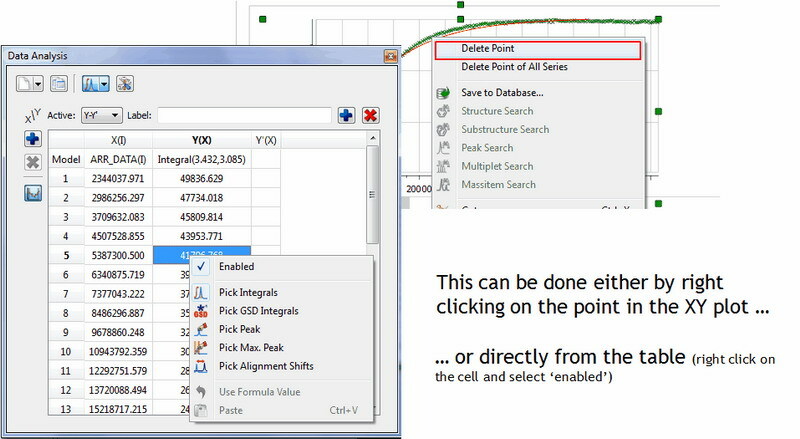 More info on this tutorial. 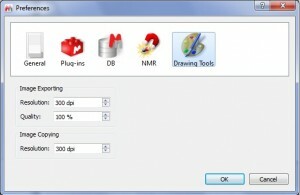 Mnova MS is now available for Windows, Mac and Linux. 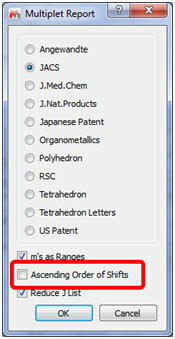 Visit this page and find out which data formats are available for each OS. 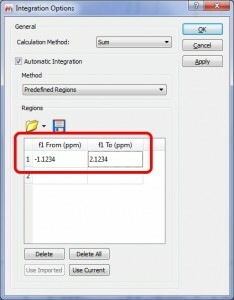 It is now possible to change the integrals regions of your TIC as you do with your NMR dataset (just by dragging&dropping the little green boxes). 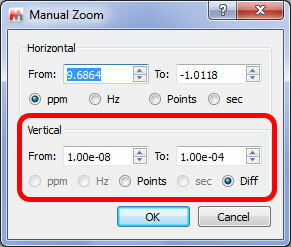 You can also freely move the wedges of the integrals (vertically or horizontally) by pressing the SHIFT key. 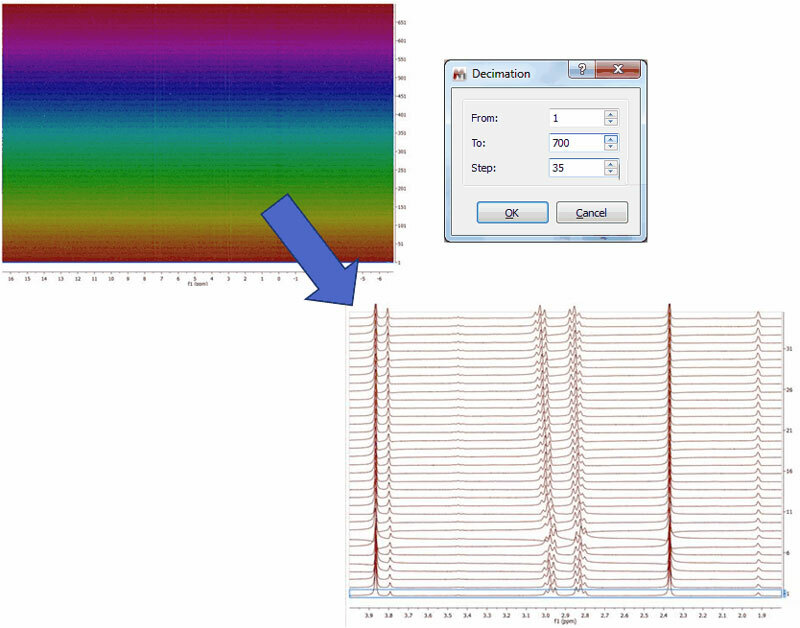 It is now possible to extract the “Total UV” and “Maximum Absorbance” (a plot of the maximum absorbance from each PDA spectrum vs. retention time) chromatograms. 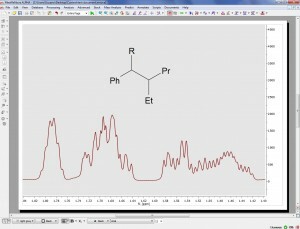 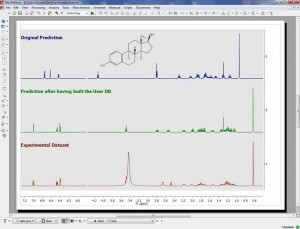 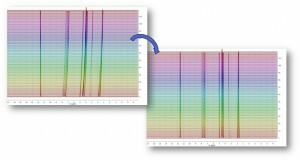 We have added UV wavelength to Agilent UV chromatogram descriptions. 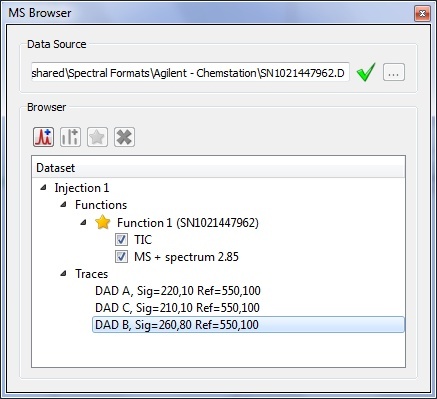 The intensity of the MS datasets will be auto-scaled when they appear on the spectral window. 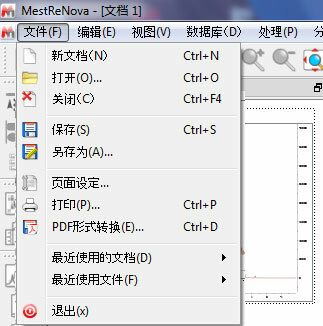 We have added a chinese version to our GUI which is now available in English, Spanish, Russian, Japanese and Chinese. 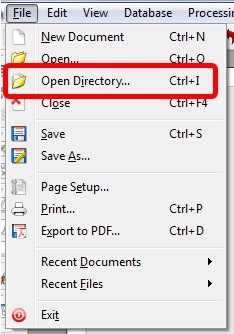 It is now possible to open a folder from the GUI which contains a dataset as you can do by dragging&dropping. 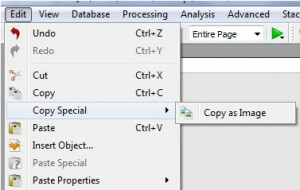 You can copy to the clipboard your datasets as images by using this new feature.